If you remember last week we wrote about Projecteo (those adorable little mini instagram projectors), well how about one of their other products. Foldable.Me? 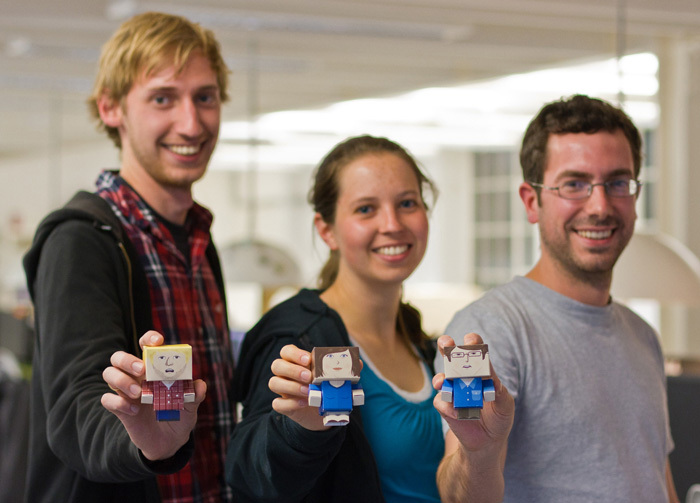 Foldable.Me makes little cardboard people that can be made to look like anyone. Once customized on their website they print them and ship them worldwide. Send them as a gift or create one for yourself! So cute!